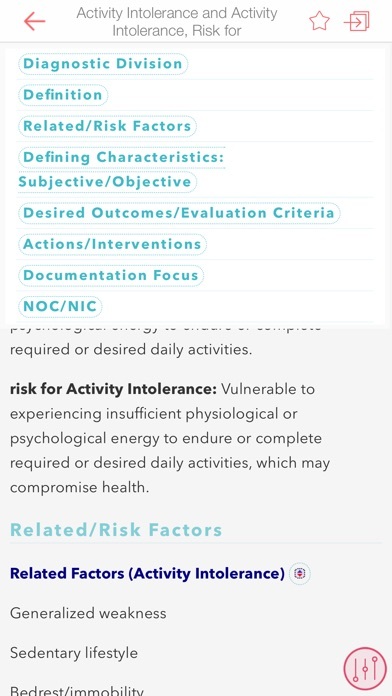 A quick-reference tool that has what you need to select the appropriate diagnosis to plan your patients’ care effectively Download the FREE app and view selected topics - Approximately 10% of the content is viewable in the free app and tapping on the locked topic will launch the in-app purchase screen. 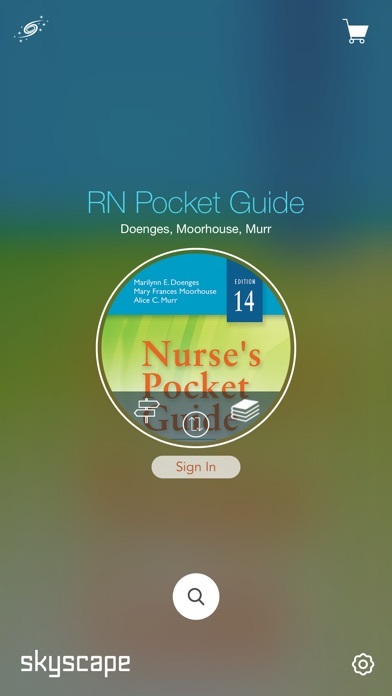 ABOUT: Nurse's Pocket Guide: Diagnoses, Prioritized Interventions and Rationales Features all nursing diagnoses & interventions. 400+ diseases. Steps on nursing process. Built-in calculators. Prioritized interventions. Based on: 14th Edition Author: Marilynn E. Doenges APRN, BC-retired Mary Frances Moorhouse RN, MSN, CRRN, LNC Alice C. Murr BSN, RN-retired Publisher: F. A. Davis Company ISBN-13: 9780803644755 FULL DESCRIPTION: Nurse's Pocket Guide: Diagnoses, Prioritized Interventions and Rationales is a quick-reference tool that has what you need to select the appropriate diagnosis to plan your patients’ care effectively. The 14th Edition features all the latest nursing diagnoses and updated interventions. The mobile app with history and bookmark features makes diagnosis even easier. Key Features - Actions/interventions uniquely organized by priority with selected rationales. - Icons within the prioritized interventions for cultural - collaborative - community/home care - diagnostic studies - pediatric/geriatric/lifespan - medications. - Defining characteristics presented subjectively and objectively. 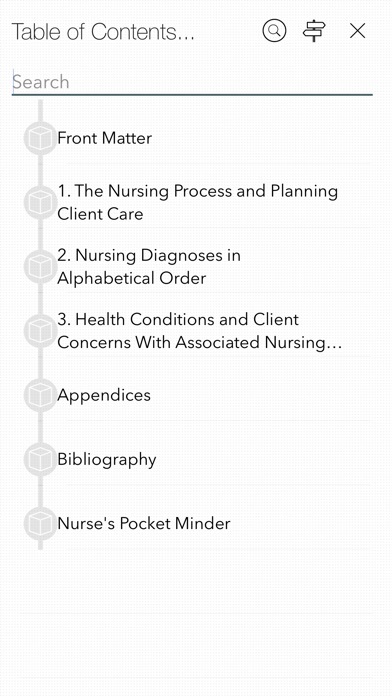 - Documentation section that focuses on the other steps of the nursing process, reminding students of the importance and necessity of recording each step. 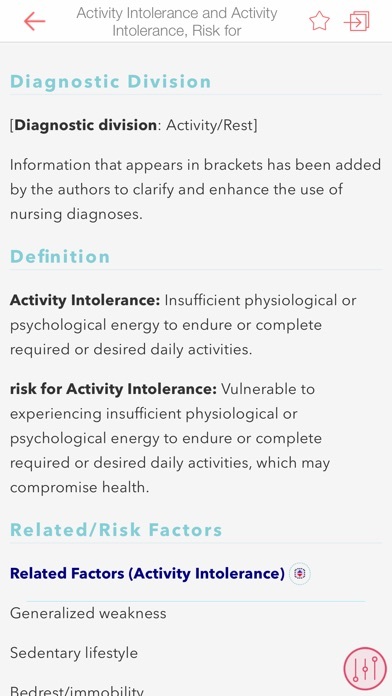 - NIC and NOC labels at the end of each diagnosis. 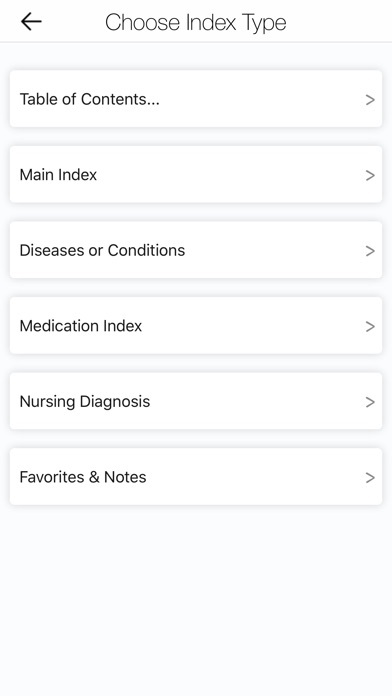 - Index with hundreds of diseases/disorders with prioritized associated nursing diagnoses SPECIAL FEATURES: Locate a disease, symptom or medication in the fastest possible manner: - Use "Spotlight Search" from Home screen - Tap and Hold launch icon to open Last Topic, History, Favorites .. - Navigate using multiple indices - History to open frequently visited pages - Bookmarks NEVER FORGET ANYTHING: Mark topics with relevant information: - Rich-text notes - Voice memos - Annotations with scribble, doodle or text You choose the method to note this regardless of the context you are in to ensure that the important facts are available whenever you access the topic, whether it is tomorrow or six months from now.